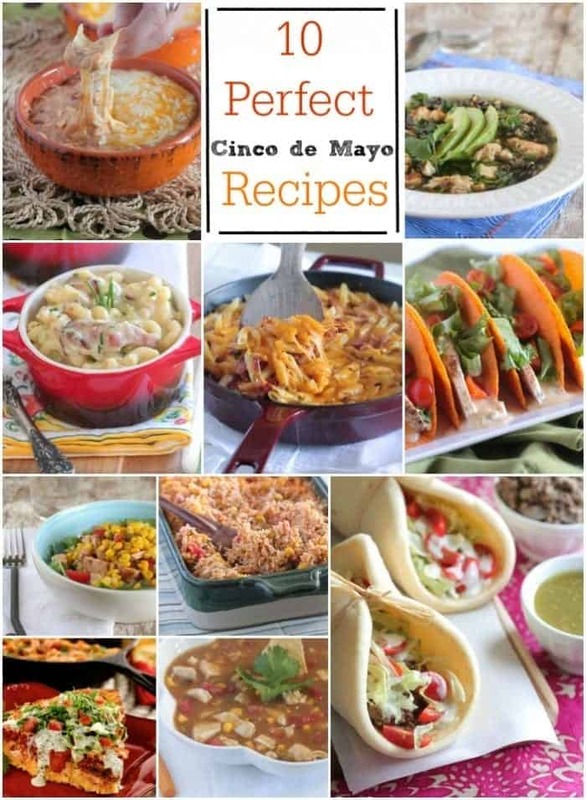 I’ve put together Ten Perfect Cinco de Mayo recipes that are great for your upcoming Mexican themed parties. Your guests will love these! Cinco de Mayo is pretty much celebrated all year round in our home, lol! We have Mexican food most of the week. Your family and friends are going to love these selections I’ve put together. They are perfect for weeknight dinner ideas, or for your upcoming Cinco de Mayo parties! Enjoy! Nice Cinco do Mayo roundup! so many good choices! all of these or any of these would be ah-mazing on one Cinco de Mayo table! Best food of the year!! everything looks amazing! Nice collection. Each of them look amazing. It’s essential that I try all of these fantastic recipes!